13 Hamas terrorists arrested in joint IDF, Shin Bet operation in Samaria. Thirteen Hamas terrorists, including a member of the Palestinian Authority’s Legislative Council, were arrested overnight in a joint operation by the IDF and Shin Bet internal security agency. The operation comes on the heels of the discovery of a regional headquarters of the Hamas terror group in the Ramallah district, north of Jerusalem. 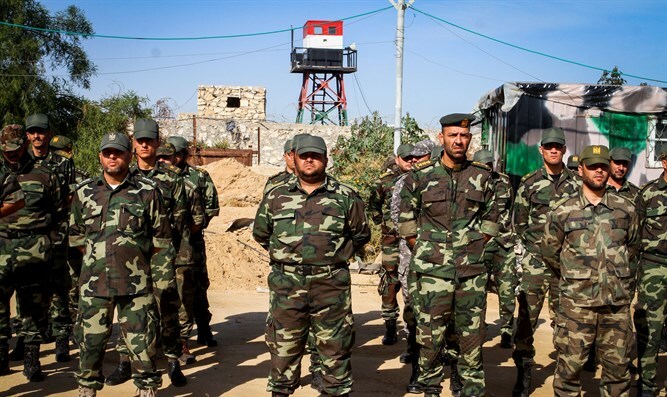 The base is believed to have served as the center of operations for dozens of Hamas terrorists in Samaria, and may be part of a broader effort by Hamas to expand its influence in the Ramallah area. Payments to jailed terrorists and their families, outreach efforts to local Palestinian Authority residents, public demonstrations, and the operation of a Hamas student group were all managed from the headquarters. During the raid of the facility overnight, IDF soldiers and Shin Bet agents confiscated cash, vehicles, and propaganda material used by Hamas for recruitment purposes. “The discovery of this [terror] infrastructure reveals Hamas’ continuing strategic intentions to operate and establish bases in the area, as part of an effort to weaken the [Palestinian] Authority; all while attempting to commit serious acts of terror,” a Shin Bet spokesperson said.